You know that saying, ‘I’d rather have a root canal’ to describe something unpleasant? At Hereford Dental Health in Monkton, we believe root canals don’t have to be painful. In fact many of our patients report minimal discomfort. Root canal (endodontic) procedures have advanced significantly in recent years. For many patients, the procedure is no worse than getting a filling. At Hereford Dental Health, our goal is to help our root canal patients avoid the necessity of endodontic treatment by providing important dental care. But if root canal therapy is necessary to preserve a tooth, we provide the most advanced endodontic treatment in Maryland. How do you know if you need a root canal? If you have inflammation or infection in the roots of a tooth, you may need one. In a root canal, a tooth’s inner pulp is removed, filled, and sealed with a crown. Your tooth will tell you, in no uncertain terms, if there is a problem. If you experience tenderness or pain, hot or cold sensitivity, tooth discoloration, or tooth injury, call Hereford Dental Health. And remember that in some cases, there are no symptoms. That is why it is vital to visit your dentist regularly for thorough dental examinations and cleanings. 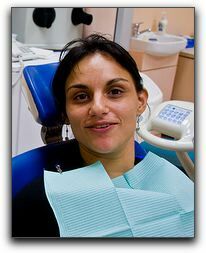 At Hereford Dental Health we provide many other services, including cosmetic dentistry and teeth whitening. We make compassionate patient care our number one priority.